Hawaiian Wood Rose, Argyreia nervosa, is also known as Wood Rose and Baby Woodrose The dried seed pods of Hawian Wood Rose resemble flowers carved from wood, hence the name. Ayurvedic use to treat rheumatism. Note: all parts of this plant are very toxic. Hawian Wood Rose is native to India and naturalised in Hawaii. It prefers moist, well drained soil in a partially shade position – likes the morning sun. Frost and drought tender. 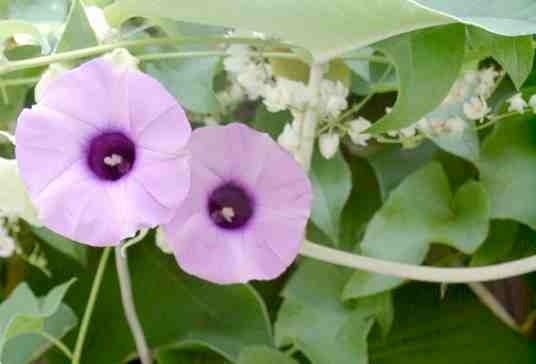 A perennial climber of the tropics, growing to about 10m – likes a trellis. Clusters of bright pink, trumpet-shaped flowers in summer and autumn. Be the first to review “Hawaiian Wood Rose, dried” Click here to cancel reply.